Infiniti cars combine style, performance, and luxury. As the luxury vehicle division of Nissan, it maintains the superior engine performance of its younger brethren. But it adds bold styling and comfortable interiors to provide owners with the confidence they need on the road. Schedule regular preventative maintenance to keep your Infiniti running optimally. 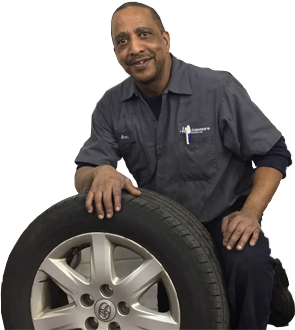 Hollenshade’s Auto Service is an auto repair and maintenance shop in Towson, Maryland. We provide transparency and offer a full-vehicle perspective to our diagnosis. If you are experiencing difficulty putting your vehicle into gear or are hearing grinding noises when shifting gears, you might need an Infiniti clutch inspection and replacement. Car owners in Towson, MD turn to us for clutch services and repairs. Our team starts by conducting a full-vehicle diagnosis then completes repairs based on original equipment manufacturer specifications. Differential fluid keeps the rear differential gears and rear axle of your vehicle running smoothly. If we detect contaminants, our ASE-certified technicians will do a differential fluid change based on your manufacturer’s recommendations. Take your car in for regular Infiniti differential diagnosis and repairs today. We help extend the lifespan of your differential gears so your car can keep running efficiently. Your car has built-in exhaust system sensors that indicate how much fuel your engine burns. And these sensors communicate with other engine components to give you the best fuel economy. Our experienced automotive professionals in Towson, MD are trained in conducting Infiniti exhaust leak repairs. We carefully inspect your exhaust system and repair or replace missing, broken, or malfunctioning parts. The cooling system of your car requires regular maintenance. After all, even a well-functioning cooling system is prone to overheating. Our professional technicians conduct Infiniti cooling system diagnosis and repairs. After a comprehensive evaluation of your radiator, thermostat, and water pump, we do repairs to get you back on the road quickly. Nearing our 80th year in business, car owners in Towson, Maryland choose us because we are a practical dealership alternative that delivers outstanding repair work. For more information, contact one of our team members to schedule service.